This is a 1 of 1 / One of a Kind Sculpture sculpted with Apoxie Sculpt and stained with Acrylic Inks. The base is hand made from wood and a steel pipe. 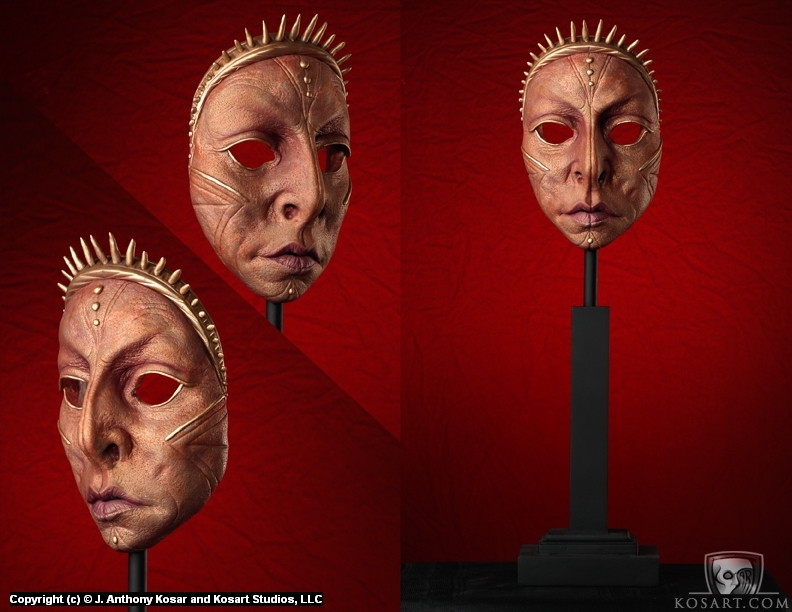 Mask: 5.5" w x 9.5" h x 4.5" d - Base: 5.5" w x 11" h x 5.5" d - Overall with Base: 22" h - Photo of the sculpture by Bear McGivney.